Well you never know what your going to get as far as the weather goes in Ely. This month we have experienced highs in upper 50’s and 10″ of new snow. The snow didn’t stay long but made a sloppy mess of things. It also delayed ice out by a couple of weeks. We have some warmer temps and the ice is starting to pull away from shore in some places. We did hear a first hand report of ice fishing out on South Farm and the holes drilled had at least 8-10 inches of ice they had to auger through. In any case hard water fishing looks about over and the open water can’t come soon enough. We are ready for Spring! The Cabin 13 project continues to move forward. As always we are making changes on the fly but all in all we are happy with how it is coming togther. John and his crew have been dedicating whatever time they can weather permitting. It will not be long before the exterior work is done and we can dedicated all the time to finishing the interior. The Eau Claire show went very well and it was nice to see some familar faces. We are currently down at the Minneapolis show so, if your in the area we would loved to see you. The show runs through this Sunday, April 3rd. With a heavy heart we do want to let you know we had to lay Jack (‘aka’ One-Eye Jack, Jackie) to rest this past month. His 14 year old body was shutting down and the meds he had been on stopped working. He is in a much better place now and know he will continue to watch over us. He touched many lives and was loved by so many. He will be missed. We are already getting many inquires for the 2016 season. 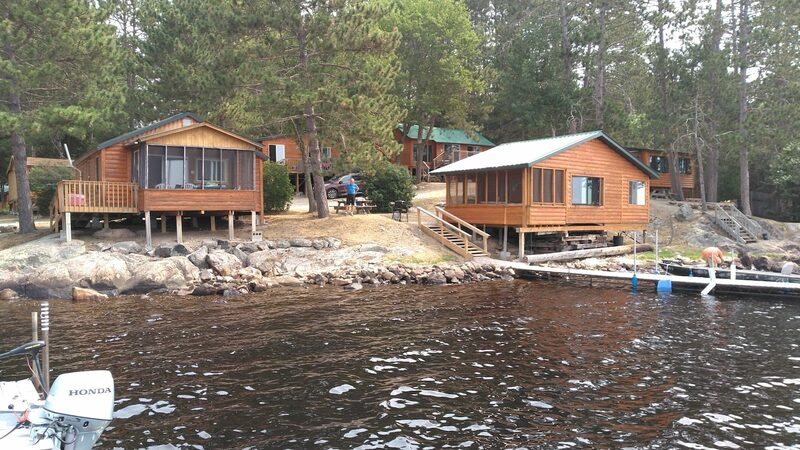 If you did not re-book before you left this summer please call or write soon to lock in your favorite cabin or cabins. Fishing opener is right around the corner and we look forward to the first guests of the season driving down the road (specifically roads that aren’t snow covered;). Please check our website www.whiteironbeach.com for all the current up to date info and specials. FISHING OPENER IS MAY 14TH! !